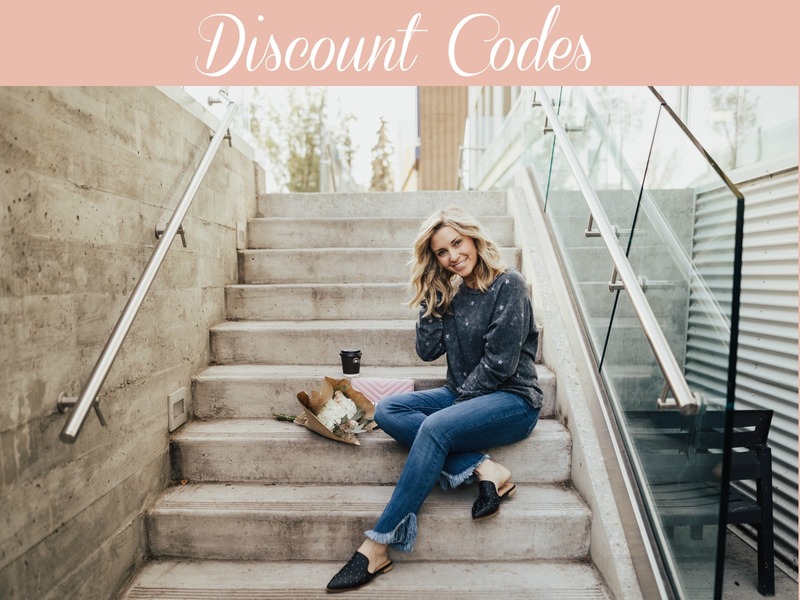 You are here: Home / Outfits / Momstyle / Floral Sweaters I Love, From $25! Floral sweaters are where it’s at. It was love at first sight when I laid eyes on this pink and green Show Me Your Mumu option at Red Ribbon Boutique. I believe it’s absolutely necessary to bring some colour and print to your wardrobe palate in these winter months. It truly will put a little pep in your step and set you apart in the ocean of neutrals and dark colours. I always go back to the same advice from my Closet Detox post, “You should feel happy and fabulous in the clothes you’re wearing!” Florals do it for me. If you’re unsure whether it’s your thing, buy an inexpensive one to start and see how you feel. Go out on a limb and make the purchase, bring it home and try it with your stuff, (even wear it around the house), and then decide. If you don’t LOVE it, return it. No harm done. It’s fun to push style boundaries for yourself! Floral sweaters are a great go-to transition piece from winter to spring. Depending on the thickness of the sweater, you can even bring it into summer by pairing it with cute cut-offs and kicks for your evening strolls to get ice cream. The sweater is the statement so I like to keep the rest of the look pretty chill. I usually pair a great floral sweater with jeans or tights (depending on the length of the sweater), ankle boots or slides (depending on how much snow we’ve got at the time), and simple, basic jewellery. 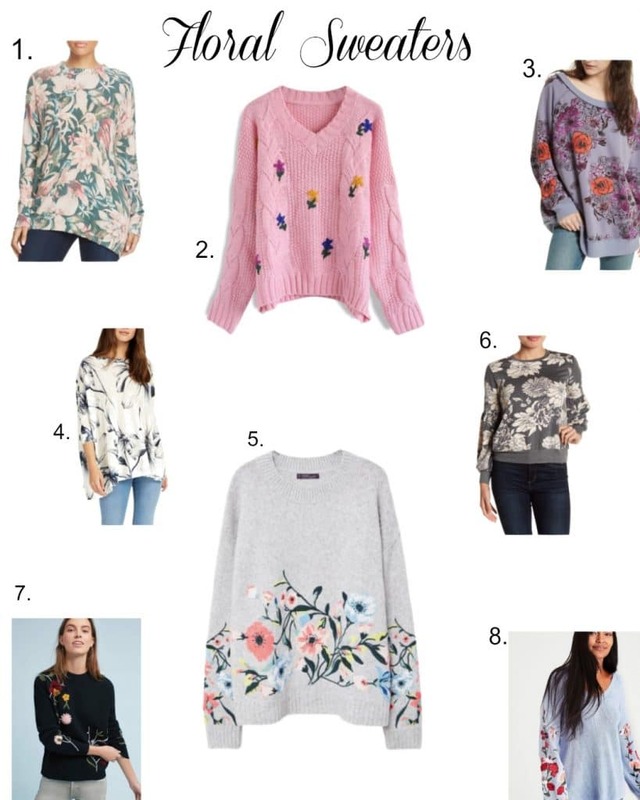 Here are a few of my favourite floral sweaters with links to shop below! Check out more ‘Mom Style’ looks here! 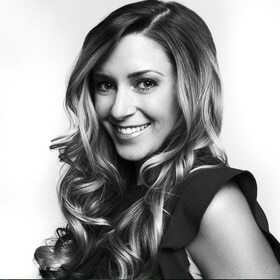 Check out latest ‘Favourite Things’ here!